What impact do Christmas markets really have on footfall? Christmas is once again a distant memory - we’ve taken down our trees, put away the decorations and Britain’s festive market stalls have closed until they are dusted off once again at the end of this year. 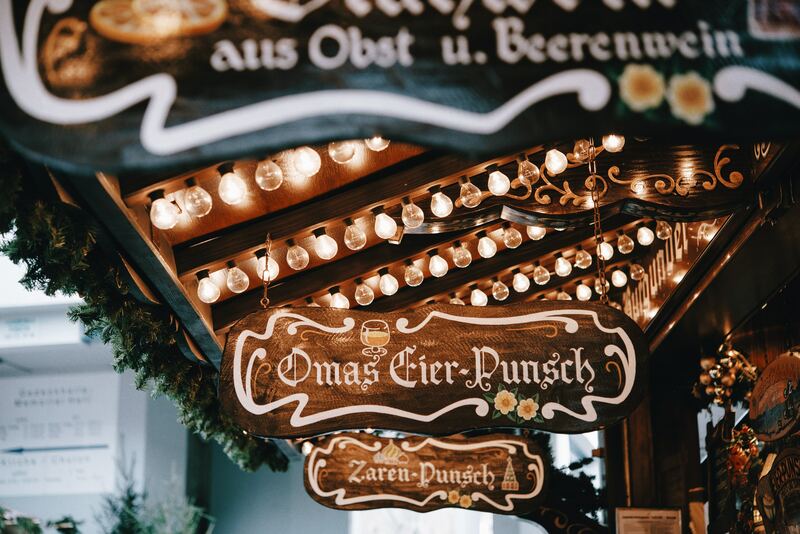 We’ve seen big changes in the last decade in Christmas markets; an increase in number, duration, size, and ultimately popularity, but the key question still remains – are Christmas markets having a significant impact on footfall levels? Using LDC’s proprietary software in combination with our extensive network of footfall devices installed across the country, we can calculate visitor numbers for locations and analyse trends in these locations during the festive period last year (2018) compared to 2017. Since Manchester opened the first German Christmas market in the UK back in 1999, more and more cities have opened their own versions, with over 100 operating across the country in 2018. The German chalet-style cabins now operate in smaller towns where the aromas of mulled wine and roasted chestnuts drifting through the air attracts customers in droves. These markets are not only frequented by local residents but are renowned across the continent as some of the best in Europe and regularly appear on the list of Europe’s Top 20 Christmas markets on travel website EuropeanBestDestinations.com. But what impact are they actually having? Compared to the average daily footfall across 2018, footfall increased considerably while the festive markets were taking place. On average across our sample locations we saw a 7.9% increase in footfall compared to the daily average for the whole year. We tend to see an uplift in footfall in the Christmas period regardless of whether a festive market is taking place due to the obvious increase in shopping at Christmas. Across similar sized towns to our sample which had no Christmas market, footfall increased by 6% during the Christmas period, which shows that the markets do increase pedestrian traffic levels by a further 1.9%. As can be seen from Figure 1, the majority of sample locations enjoyed a significant increase in footfall for the duration of the Christmas market with the biggest increase seen in Manchester, which saw a 15.7% uplift. If designed effectively, a Christmas market can significantly boost sales for local retailers as well as the market stallholders. Visitors tend to spend at the market stalls and then subsequently make additional purchases in nearby shops and cafes - a win-win situation. The boost in footfall for towns and, more importantly the boost in sales is now more crucial than ever given the current trading conditions and the challenging marketplace. When comparing footfall in sample locations to the same period in 2017, all locations showed a year-on-year decline in footfall over the dates of their Christmas market, with an average fall of 3.4% from 2017 to 2018. This reflects the increasing difficulty that retailers are facing in attracting shoppers to high streets, with other channels such as online eating into the market share of sales in physical stores. With the ease of online returns, the lure of completing all Christmas shopping from the comfort of your living room is becoming more attractive for consumers. On top of this, data shows that consumer confidence is down, even with the labour market remaining robust, rising living standards and record levels of employment (however I refuse to the mention the B word!). Is Black Friday cannibalising Christmas retail? Some people have blamed the poor performance in Christmas trading in recent years on the introduction of Black Friday sales offered now by both online retailers and in physical stores, where consumers can complete their Christmas shopping early while prices are low. Using our footfall data, we can test this hypothesis by seeing how many people are heading for the high street in the Black Friday period compared to Christmas. The data in Figure 3 shows us that, of our sample locations, Black Friday came out on top this year with 27% higher footfall than the daily average for 2018, compared to ‘Super Saturday’- the last Saturday before Christmas where shoppers rush to buy last minute gifts – which showed a 23.9% increase. Although this may suggest that Black Friday is taking over, these footfall figures actually show that the gap is closing between Super Saturday and Black Friday. In 2018, Black Friday footfall fell -6% and Super Saturday footfall rose +4% compared to 2017 in our sample locations. Perhaps this shows that consumers are beginning to revert back to favour the last-minute Christmas shopping trip, while the spread of Black Friday deals across the full week is resulting in footfall falling on the actual day. Christmas trading this year was challenging and there really is no silver bullet to fix it. However, the more unique experiences that can be offered to entice consumers to face the bad weather and shop on the high street at Christmas the better. Christmas markets are a great example, but more can be done to offer a different experience as the proliferation of Christmas markets spreads across the country – so the real question is - what will be the next big thing?